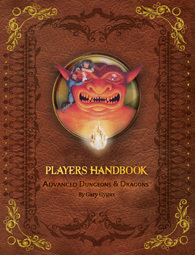 With the current premium reprint run of the 1st Edition D&D products and the sneak peeks at the D&D Next rules, I have had my hand in every version of D&D in print. It’s been a good run. And now it’s time for a change. I may use the first few entries to describe my career reboot (or–gulp!–lack thereof). I was going to use this blog only to give tips and tricks, and perhaps wax passionately about digital vs. print production, but I may use the first few entries to describe my career reboot (or–gulp!–lack thereof). If you haven’t seen what is available in the CS6 Creative Cloud, you must check it out. Adobe says Creative Cloud is the Way to Create Anything, and I don’t think they are too far off. Try it for a month, on Adobe! InDesign’s liquid layouts will let you create a poster, turn it into a postcard, change it into a brochure, and link all the text. Make a change to one; all will change. If you can dream it up, Adobe has software to make it happen; and, if by chance they don’t have the features you want, let them know. Put in a features request. They really seem to listen. CreativeLive is a great source for free training in any number of subjects. Visit their site for a list of classes weekly. They are local in Seattle and are often looking for studio audience members. CreativeLive is also a good source for Photography Classes, covering topics from Boudoir to Babies (and everything in between). Not that I have any followers, but if I did, they may have noticed that although the layout and design of this blog keeps changing, the content has remained somewhat static. This is a work in progress, a class assignment, an experiment. For now, I am playing “dress up” trying to find my look and voice. This is a work in progress, an experiment.